Spread Them Through the House Any Time of Year! 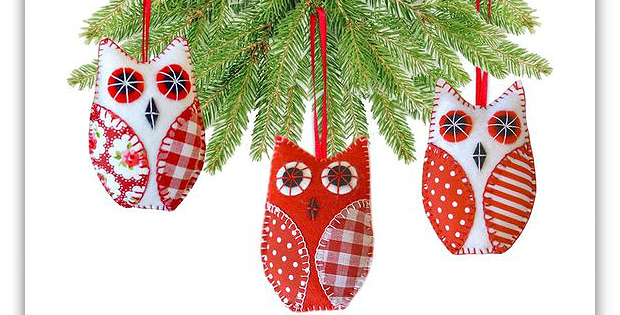 These cute little owls will be charming on the tree. Or hang them throughout the house any time of the year. Just choose colors to fit with how you’ll use them. They’re also great for decorating wrapped gifts and incorporating in centerpieces and other holiday displays. Plus, they’re super quick and easy to make so you can have several finished up before you know it. Dig into your scraps for pretty combinations of fabric. Or use felt and let the kids help. Eyes can be buttons or appliqued circles. Play with options to give each owl its own personality. The finished ornaments, from My Fabric Heaven, are about 4″ tall without the hanging loop. 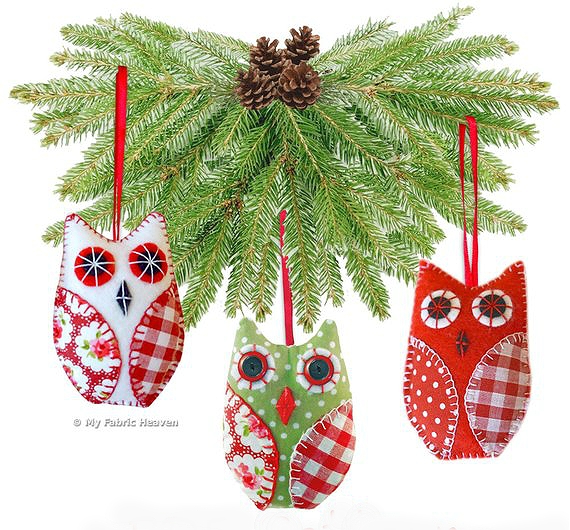 Click here to purchase the “Owl Christmas Tree Decoration” pattern.